The police stood down and refrained from their usual brutality, for the cameras. Those rioters were set up. They were incited by a brutal unprovoked murder of one of their friends and left to destroy some insured property that was dispensable to the establishment. It served the more important purpose of “demonstrating” how “thuggish” these rioters are….not. They are furious – enraged, rightly so. Abused, neglected and economically oppressed for over half a century (since the last riot in ’68, above), they are suffering from acute post traumatic stress disorder from a trauma that has been occurring every-single-day-of-their-lives, culminating in the brutal and unacknowledged murder of a young unarmed man, in his prime, running for his life. Previous What do Actors and Politicians have in Common? 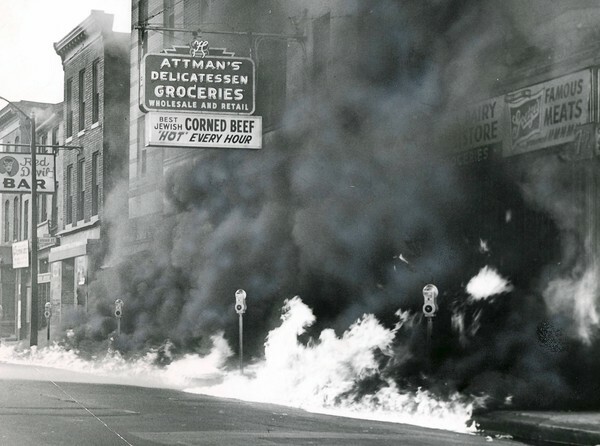 Insurance doesn’t pay out in “civil disturbances.” The rioters were set up by the Nation of Islam that brought the gangs together in a “rally” and then unleashed them on the city. well, somebody is going to pay out for this fire. I know damn well, the owners won’t or they would do more to make sure their neighbors didn’t hate them. 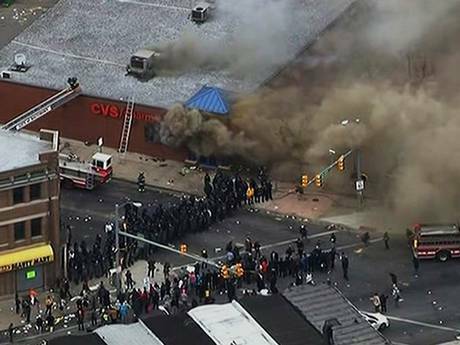 FYI, most insurance policies cover damage due to riots, according to this article. I have never known Negroes to be violent or dangerous. They are hard working, respectful and always calm in stressful situations. This all had to be the Police fault. The trillions of dollars blacks have been given in Free Housing, Food, Medical insurance, child care, Heat assistance, Cash, Obama sail phone, and legal aid is not enough. The fact that more whites from Ireland were enslaved in America than blacks from 1600-1700 does not matter. Detroit, LA, Cincinnati, St Louis, Newark are all anomolies, there is no trend in riuoting and destruction from blacks. The fact that more whites are killed annually by the police than blacks does not matter either. Nor the fact that there are 1 million Interracial assaults On Whites annually does not matter either. It would be a lot easier if you just said what you wanted to say, minus the sarcasm. I disagree with you. If millions have been spent on “housing, food, medical insurance, child care, heat assistance, etc. it has always and without fail gone to the coffers of the middlemen, who enjoyed the lion share of any benefits arising from these programs – which by the way require a steady underclass in order to justify their existence in the first place. Its not millions, Its trillions, just behind arms and military defense spending, given to 3rd generation welfare mommas raising 7 kids from 7 different absentee sperm donors to increase their monthly stipend. Paid for my for by the white middle class mostly. There are not middle men that benefit from these programs except Arabs shop owners, but then again they have to deal with these same people and have a high risk job as we see now in Baltimore. EBT cards are not real profitable. But it keeps this class of people happy watching Judge Mathis and The Jefferson reruns. This is not a black white issue … this is a police getting out of hand becoming bootjacks for the corrupt government … the corporate news … a propaganda arm of the corrupt government want the sheeple to think this is a black white issue and use it to get them use to martial law. you’re only half right, spiritto. It’s not just a black white issue. Or rather it appears to be a black white issue when really it is an issue of exploitation, where the victims over the last few centuries happen to be black. I agree that many people today are not racist as they were in the past, but unfortunately, the vast majority of vulnerable people in America today are people of color. but yes, every vulnerable person, black or white is used and abused by this fascist and immoral system. More whites are killed by the Police than Blacks but we dont burn down our own cities. In fact the poorest people in America are in Appalachia, its 99% white yet their crime rate is 60% lower than the Natl. Average. Blacks are destroyers of cities. Literally and figuratively. Look at white flight caused by blacks. Try selling your modest home in Ferguson MO or Baltimore now….Youve just lost $50,000-500,000K in equity. Sorry, it IS a black thang. thanks. more than I can say for your analysis. Everyone on the human farm is exploited according to their perceived worth. The looters will likely be found through facial recognition tech. One guy is already an internet meme. There does, however, appear to be some kind of unofficial agenda. Watch them laugh it up at the National Press Club. All that was missing was a little black-face. All of this racial baiting is a distraction from the real agenda – your enslavement. Some of us know we are slaves, only the blacks dont riot because of that. Just because its free shopping day. Freddie Gray had bakc surgery 1 week ago, he had filed for a lump sum payment. This was a ruse to work the system….waiting for media coverage on this. your theory is complete and utter nonsense. bigoted disinformation.